On August 31, 2010, the New Jersey Tax Court issued a memorandum decision in Beneficial New Jersey, Inc. v. Director, Division of Taxation, N.J. Tax Court, Docket No. 009886-2007 (August 31, 2010). The Court held that the taxpayer satisfied one of the enumerated exceptions authorized by the interest add-back statute, N.J.S.A. 54:10A-4(k)(2)(I). Therefore, the Court found that the taxpayer was entitled to its interest expense deductions. Recently, the New Jersey Division of Taxation (“Division”) released TAM-13, accepting the Tax Court’s Beneficial decision. 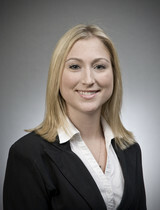 N.J. Division of Taxation TAM-13, “Add-back of Related Member Interest Expense,” Feb. 24, 2011. “Three Percent” Exception – This exception applies when the transaction giving rise to the interest does not have a principal purpose of tax avoidance; the interest is charged at arm’s length, pursuant to an arm’s length contract, at an arm’s length rate; the related member receiving the interest is taxable upon its income or gross receipts by a state of the United States or by a foreign nation; the measure of tax upon the related member includes the interest; and the rate of tax applied to the interest is no more than three percent less than the New Jersey tax rate. “Treaty” Exception – This exception applies when interest is charged to a related member in a foreign nation that has an income tax treaty with theUnited States. “Guarantee” or “Conduit” Exception – This exception applies when related member interest expenses are directly or indirectly paid or accrued to an independent lender and the taxpayer guarantees the debt upon which the interest is required. “Unreasonable” Exception – This exception applies when the taxpayer establishes by clear and convincing evidence that the disallowance of an interest deduction is unreasonable. “Alternative Apportionment” Exception – This exception applies when the taxpayer and the Director agree in writing to use alternative apportionment pursuant to N.J.S.A. 54:10A-8. Beneficial New Jersey (“BNJ”) conducted retail branch lending operations in New Jersey. The parent corporation, HSBC Financial (“HSBC”), was a large bank, which borrowed funds from unrelated third parties and then loaned the funds to its subsidiaries, including BNJ. HSBC charged BNJ interest at an arm’s length rate. BNJ deducted interest payments paid upon its loans from its parent, HSBC, when arriving at its taxable income, believing that it was entitled to the interest expense deductions. However, pursuant to an audit, the Director disallowed the interest expense deductions and refused to apply any of the enumerated exceptions in N.J.S.A. 54:10A-4(k)(2)(I). However, the Tax Court concluded that BNJ did satisfy the “unreasonable” exception. The Court found that the evidence supported BNJ’s argument that the purpose for the transactions between BNJ and HSBC did not constitute tax avoidance. The term “unreasonable” was not defined by the statute and, thus, the Tax Court interpreted the language by using its ordinary meaning. It found that the loans from HSBC had economic substance. The reason for the practice whereby HSBC borrowed funds to lend to its subsidiaries was credible because it enabled HSBC to receive more favorable rates than its subsidiaries would be able to obtain directly from the third party lender. Furthermore, HSBC paid taxes in other jurisdictions upon the interest income it earned from BNJ. As such, the court in Beneficial adopted a much broader interpretation of the “unreasonableness exception” than that proposed by the Division and found that, based upon the totality of the circumstances, BNJ’s situation was of the type contemplated by the drafters of the statute. Moreover, the court found that the “unreasonable” exception should be applied case-by-case. A recent Technical Advisory Memorandum (“TAM”) issued by the Division incorporated the analysis provided by the Tax Court in Beneficial. TAM-13 emphasized that for purposes of the three-percent exception, the term “rate of tax” is interpreted by using a post-apportionment, not pre-apportionment basis. Additionally, TAM-13 reiterated the Division’s interpretations of the guarantee exception, requiring that in a transaction for which interest is charged to an independent lender through a related member as a conduit, the taxpayer must legally guarantee the debt upon which the interest obligation is required. Furthermore, the Division noted that the taxpayer must memorialize the guarantee at the time of the loan origination, not thereafter. It accepted the Tax Court’s conclusion that because the taxpayer’s intercompany transactions had economic substance, it was unreasonable to impose the interest add-back rules in that particular situation. The Division also accepted the Tax Court’s finding that decisions regarding the unreasonableness exception should be made case-by-case, based upon the totality of the circumstances. Thus, the Tax Court’s Beneficial holding combined with the Division’s release of TAM-13, should cause taxpayers, subject to the add-back requirement, to review their facts and to determine if the totality of their circumstances evidences that a disallowance of deductions for interest paid to related parties falls within the “unreasonable” exception.